The Magellan space probe gets to Venus. The Magellan spacecraft was the first planetary explorer to be launched by a space shuttle when it was carried aloft by the shuttle Atlantis from Kennedy Space Center in Florida on May 4, 1989. Atlantis took Magellan into low Earth orbit, where it was released from the shuttle’s cargo bay and fired by a solid-fuel motor called the Inertial Upper Stage on its way to Venus. Magellan looped around the Sun one-and-a-half times before arriving at Venus on August 10, 1990. A solid-fuel motor on the spacecraft then fired, placing Magellan into a near-polar elliptical orbit around Venus. The spacecraft carried a sophisticated imaging radar, which was used to make the most highly detailed map of Venus ever captured during its four years in orbit around Venus from 1990 to 1994. After concluding its radar mapping, Magellan also made global maps of Venus’s gravity field. Flight controllers then tested a new maneuvering technique called aerobraking, which uses a planet’s atmosphere to slow or steer a spacecraft. The spacecraft made a dramatic plunge into the thick, hot Venusian atmosphere on October 12, 1994, and was crushed by the pressure of Venus’s atmosphere. 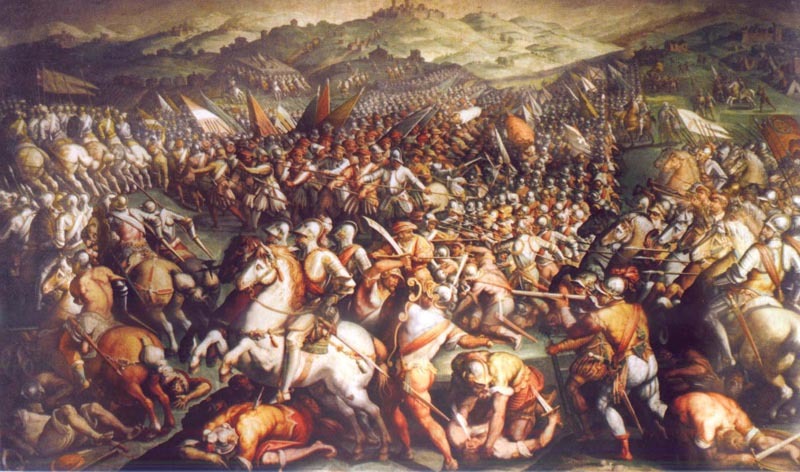 Magellan’s signal was lost at 10:02 Universal Time, 3:02 a.m. Pacific Daylight Time that day. The Magellan mission was divided up into “cycles” with each cycle lasting 243 days,the time necessary for Venus to rotate once under the Magellan orbit. In all, the highly successful imaging radar mapped more than 98 percent of the planet’s surface and collected high-resolution gravity data of Venus. The lessons learned from Magellan’s aerodynamic dive into the Venusian atmosphere will be applied to future planetary missions. 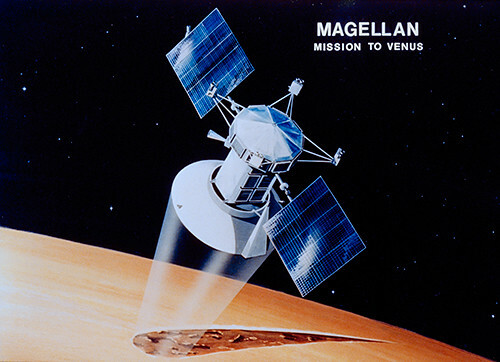 The Magellan space probe reaches the planet Venus. The Swedish warship Vasa sinks in the Stockholm harbor after only about 20 minutes of being launched. The Magellan spacecraft reaches Venus. Battle between the Russian and Japanese battleship fleets takes place in the Yellow Sea.